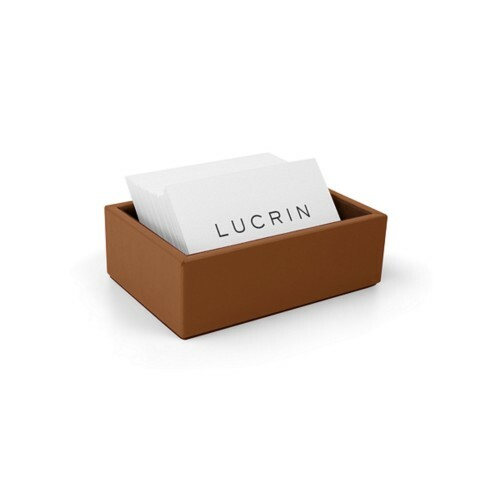 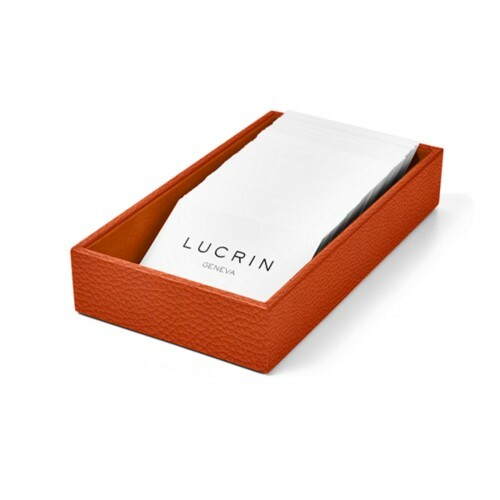 Lucrin proposes a large selection of elegant and practical office leather products, such as this exclusive collection of customizable paper trays, hard to find on the market. 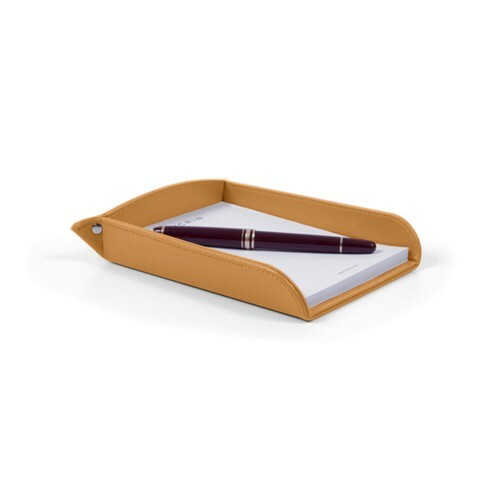 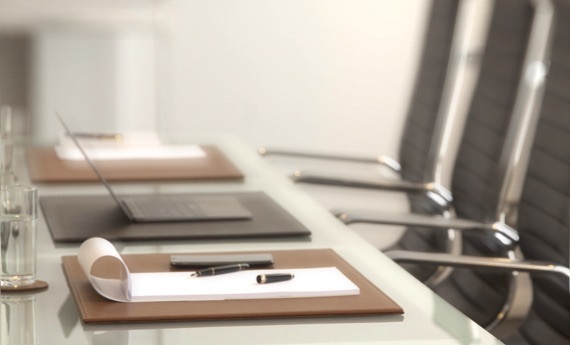 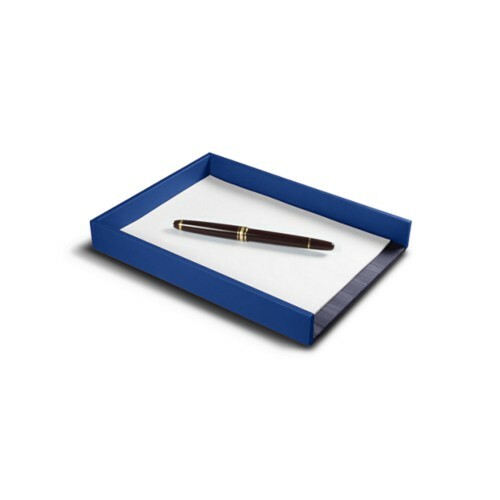 Conceived in authentic premium leather, they are designed with a rigid wood structure that gives these document trays excellent durability and stability. 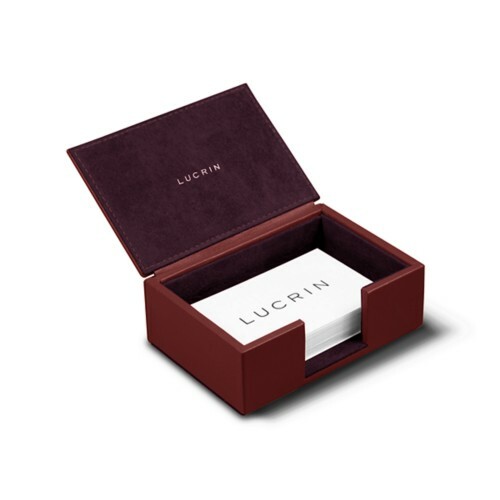 The sheathing in leather is performed by our very best artisans to ensure that you get a finish of the very highest order. 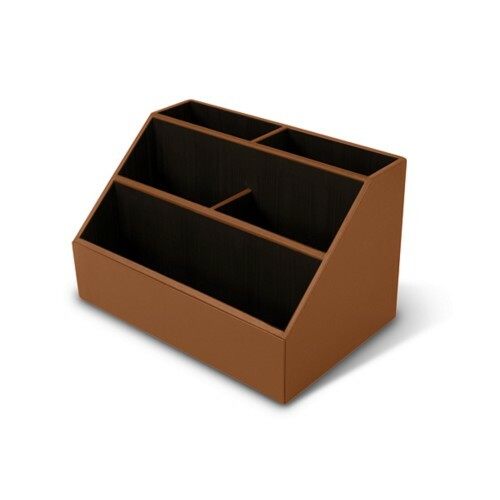 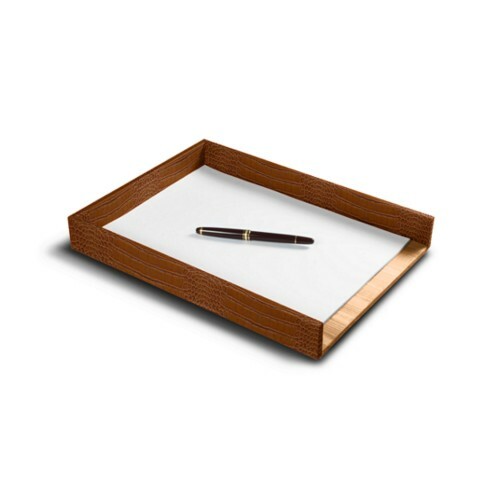 Some of these letter trays can be placed on top of each other, thus giving the illusion of having leather paper drawers. 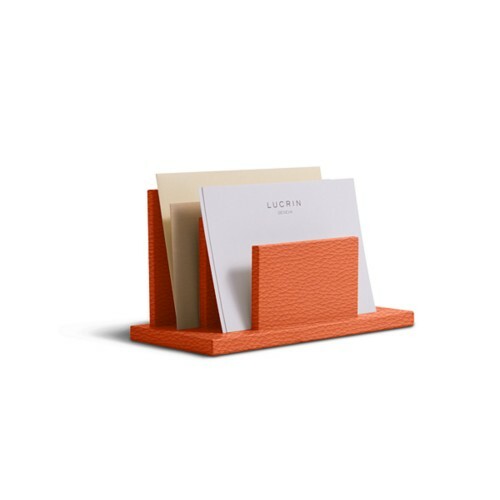 You can also discover a couple of models of letter holders, in which you can classify your mail. 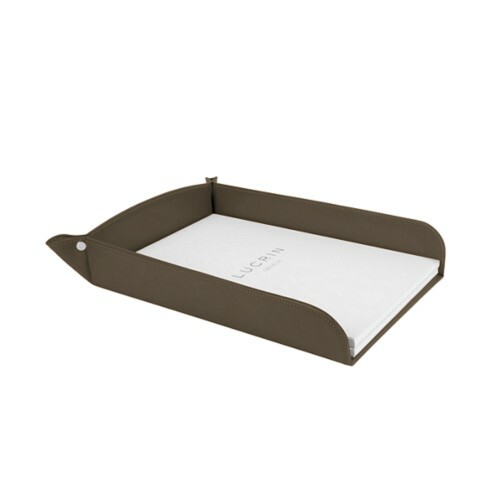 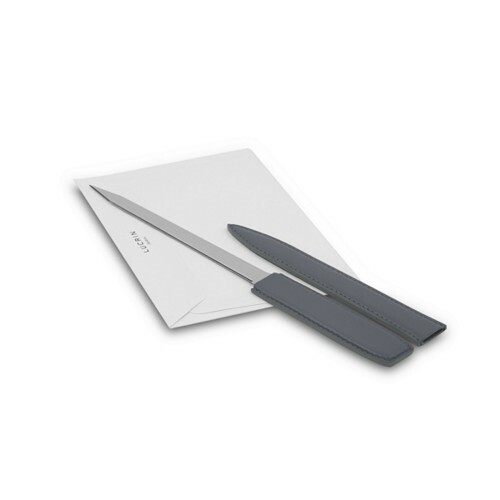 Furthermore, these leather paper trays are available in different formats: A4, A5 and A6.